There’s really nothing that elevates a night out like some live music. Whether it be a casual dinner, a drink with friends, a romantic meal, or a full night on the town—live music has a way of feeding the soul. Thankfully, our area has no shortage of local talent and places to catch incredible live music. Thanks to The Brubeck Institute of the UOP and Stockton’s Valley Brew, the 209 has its very own jazz club that is cool, sophisticated, and chalked full of incredible musicians. The space is intimate and elegant, and showcases tons of both local and national talent. So if you need a night of killer jazz and a cool vibes, look no further than the Miracle Mile. This super cool new speakeasy lives in the heart of Downtown Stockton and has quickly become a local hotspot. Reminiscent of a 1930s law library, the bar boasts cool decor, tasty happy hour specials, and frequent live performers of all sorts. On any night, this is the ideal spot to hangout and sip a drink or get down to some great music. Live music at a poke spot? Yup! In fact, nothing accompanies the island vibes if Superfish’s amazingly fresh poke bowls than some spring sunshine and chill music. A well known spot for local musicians to entertain, Whirlows, known for their smoked meats, hot dishes, salads, and sandwiches, offers weekly live music every Thursday and Friday night, so you can sip, eat, and enjoy! Think you have what it takes to get behind the mic yourself? Whirlows also hosts a karaoke night every tuesday so you can take a swing at the stage! Or, have a great time listening to others. Your call. Wine Bar? Great bites? Beautiful atmosphere? AND live music?! Count us in! Mile Wine Company offers weekly live musical performances that add perfectly to their contemporary elegant ambiance. The music ranges from R&B to classical jazz. No matter who is playing, it will be the perfect pairing to a glass of wine. More of a beer person than a wine person? No worries! Channel Brewing Co., located in Downtown Stockton, has you covered. This awesome new brewery offers its very own beer AND showcases new local talent with live performances every weekend. It’s the perfect place to grab a flight, listen to some great music, and support local. This fun, divey bar situated on the Miracle Mile is always a good time. 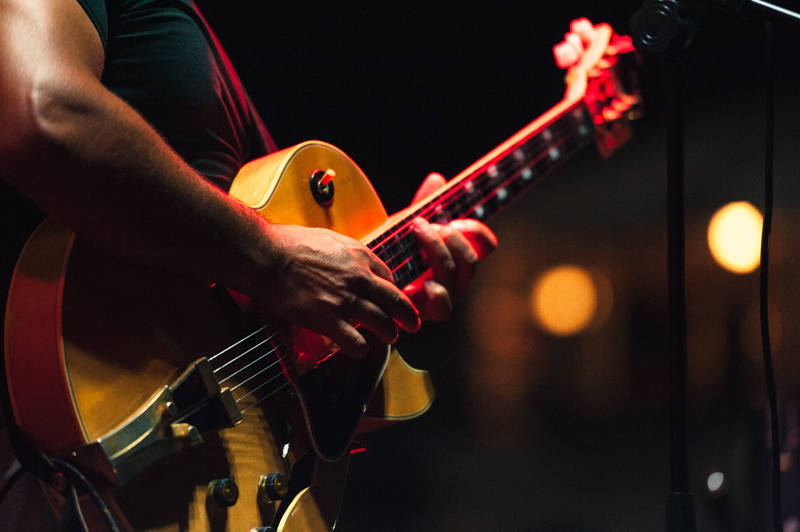 Popular local blues, rock, and country bands deliver awesome performances that keep the energy high and the whiskey a pourin’! With picnic style tables and plenty of room to dance, this is where you want to be on a Saturday night.